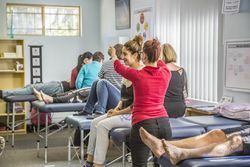 All the courses delivered by O’Neill Kinesiology College cover a range of Kinesiology techniques not available anywhere else in Western Australia. The Advanced Diploma of Functional Kinesiology is unique to our college. The Advanced Diploma takes all the skills and knowledge from the Diploma program and applies them in an in-depth manner to all the physiological systems of the body. 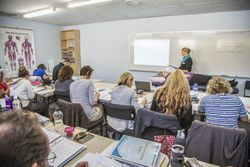 At the end of this course students have confidence in using all the techniques learnt in a clinical setting. 12 competency units are required for award of this qualification. Come and visit our college at any one of our regular Open Days. You will see demonstrations, find out how and why kinesiology works and can discuss courses and career paths with college staff. Get in touch today to find out more about our courses!